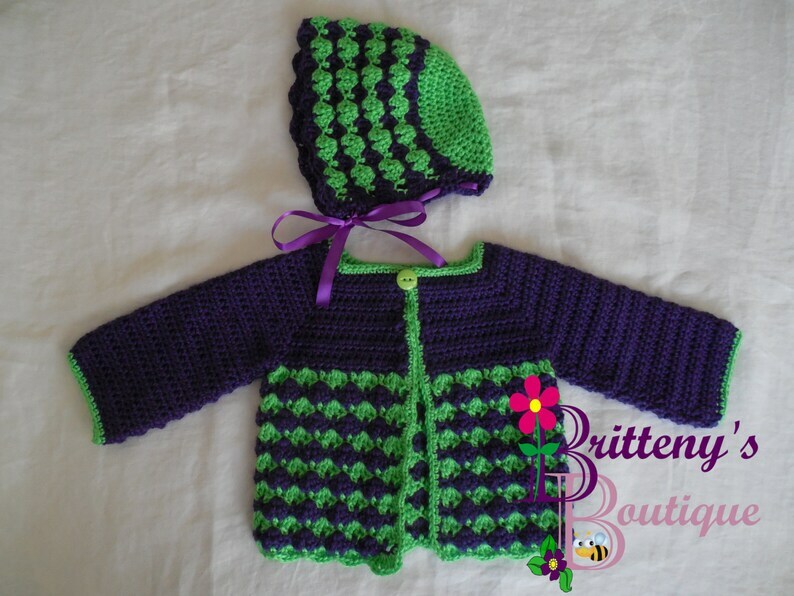 Any baby girl would look absolutely adorable in this grape sweater set! I named this set Berry Cute because it is super cute and the stitches on the bottom of the sweater and the bonnet look like grapes to me. 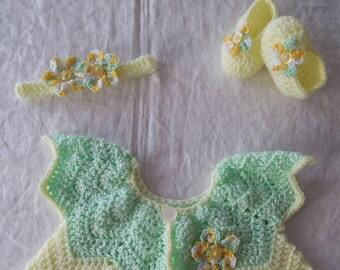 This set would make a great baby shower gift too! I have always wanted to design a baby bonnet because I think they look absolutely precious on little ones. My daughter used to wear them all the time; until she told me she didn't like them anymore … hehehe! After making this sweater, I knew that this was the perfect sweater to pair with a bonnet. It took me a few tries to make sure I had all of my measurements just right, but man was it worth it! This set was made using my Berry Cute Sweater Set pattern, so you know it was made with extra love! The sweater will fit a 19 to 20 inch chest. The bonnet will fit a 18 to 19.5 inch head circumference. Coming to you from my smoke free home.